I realized it is six weeks now without a cup of coffee. My coffee intake during the past five years has been about half a cup a day. It is over a decade now since the time I shifted to drinking black coffee without sugar. It may be surprising to hear that my son who is in the University hasn’t tasted coffee yet. My daughter in her final year of high school has tasted coffee couple of times. They have grown with aversion towards coffee for reasons unknown to me. Despite the situation, I tend to buy two kilograms of coffee every four months in Suma Coffee Works. Suma coffee works is close to Indiranagar metro station and is the best place in Bangalore to buy coffee powder. The coffee powder is custom made and ground in front of you based on your preferences. The coffee beans in Suma coffee works come with various blends like Pea Berry, Mysore A and more. I typically order a mix of Pea Berry and chicory in an 80:20 ratio for a very tasty pure filter coffee home blend. The coffee seeds are roasted and ground in front of you and delivered nicely in a sealed packet. Pea Berry as I understand is a natural mutation of the coffee bean inside its cherry. 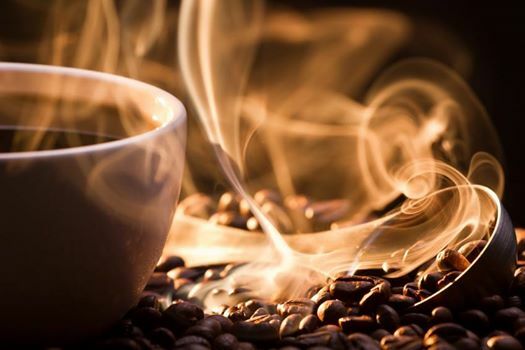 Normally coffee beans grow two to a fruit, flat against each other like halves of a peanut, but in about 5% of the world’s coffee, a bean is born an only child. These are hand sorted after picking and processing and sold separately. Despite our current coffee drinking habit, Suma coffee powder gets consumed quickly mostly by my wife and visitors. I grew up in a coffee drinking family. Kaapi as we call it in our Iyer home is served hot and frothy traditionally in a dabara and tumbler. Twice a day coffee was minimum and extra servings always welcome. This is filter coffee made by mixing very strong decoction and frothy milk in 10:90 ratio. We had a small cast iron hand crank coffee grinder at home. Grinding coffee beans fresh at home was the single most important action. As the grinder is cranked, you can feel the movement of the mechanism and the beans resistance. The beans slowly gets ground into a fine powder. To smell the aroma of the beans as you crank was a pleasure. Prior to grinding, my mother used to roast the beans in a frying pan. A ladle was used to constantly move the beans from top to bottom to prevent them from burning. This roast is a dark roast that produced lots of smoke. Roasting and grinding was a daily routine to prepare our ubiquitous south Indian filter Kaapi. Instant coffee and modern coffee shops in today world have taken this fun away.